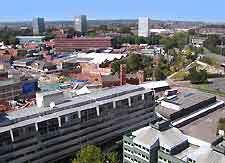 Coventry may not be the most attractive city, but it does offer plenty of Georgian and medieval interest for visiting tourists, including the remains of a city wall, historic gateways and three immediately noticeable spires. Home to an array of cultural venues and entertainment complexes, Coventry has benefited from a number of significant investments, imaginative projects and expansions. Of particularly interest, the recent £50 million Phoenix Initiative and Millennium Place project connects both the city's Transport Museum and the ruins of Coventry Cathedral, and has created a number of public squares and central gardens. 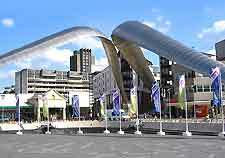 The city of Coventry has never been more popular and its tourism industry is bustling with appeal and vitality. 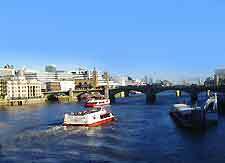 There is such a wide selection of tourist attractions here that you will find plenty to do, either by day or night. It is wise to plan your visit upon arrival and the Coventry Tourist Information Centre along Priory Row is a good place to start. Coventry's most notable tourist attractions include the Coventry Canal Basin - the point at which the canal terminates, with many boats, cruises and a waterfront cafe. Also popular is the Coventry City Farm - an appealing inner city farmyard, with information about animal welfare; Coventry City Centre Trail and Historic Heart Walking Tour - two popular walking trails which pass many prominent buildings along the way; and Helicopter Aviation - offering stunning aerial views of the cityscape and neighbouring towns. Within the city, prominent landmarks include Coventry Cathedral / St. Michael's Cathedral - ruined remains of what was once one of the city's most breathtaking buildings; St. Mary's Guildhall - one of England's finest guildhalls, dating back to the mid-14th century; Cook Street and Swanswell Gates - the city's two remaining medieval gates, next to a long stretch of historic wall; Hawkesbury Junction and Sutton Stop - where the Coventry and Oxford canals meet; and the Cheylesmore Manor - an important grade II listed building and once the city gatehouse. 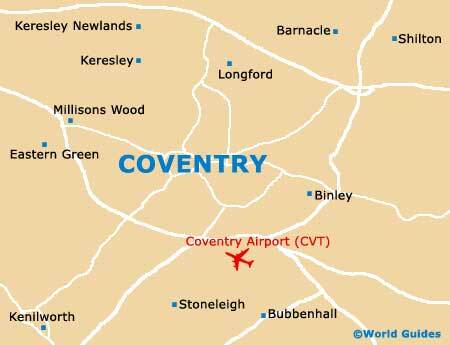 More information about Coventry Tourist Attractions and Coventry Landmarks. 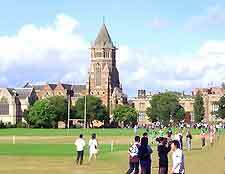 Coventry is an especially green city and has many well-used parks and gardens. These include Coombe Country Park, the Garden of International Friendship, Greyfriars Green, the Peace Garden, Priory Gardens, Ryton Organic Gardens and the War Memorial Park. Some of the best museums and art galleries in the Coventry area include the Priory Visitors Centre / Priory Undercroft - with information and displays about Coventry's first cathedral; Coventry Transport Museum - home to in excess of 250 vintage and classic vehicles of all descriptions; Mead Gallery - an important exhibition venue, situated within the University of Warwick campus; and the Herbert Gallery - a modern, centrally located art gallery, close to the cathedral. More information about Coventry Museums and Coventry Art Galleries. Tourist attractions located near to Coventry are the market towns and charming villages of Bedworth, Kenilworth, Nuneaton, Royal Leamington Spa, Rugby, Stoneleigh, Warwick and Stratford upon Avon, which is often referred to as 'Shakespeare country '. More information about Coventry Attractions Nearby.